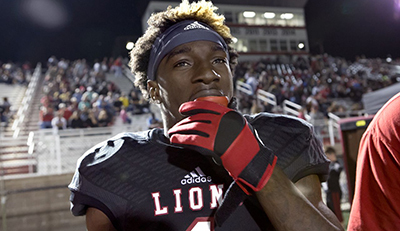 The Main Characters From 'Last Chance U' - Where Are They Now? In what is admittedly one of the more difficult 'Where Are They Now' posts due to the fact that the original series was filmed just two years ago in 2015, and thus this may be out of date in a matter of months, we still felt the need to check back in on the cast of Netflix's outstanding documentary on East Mississippi Community College. While the cast of the show included a full football team and coaching staff, there were some characters that appeared far more often than others, and as a result the viewers formed an emotional connection, be it good or bad, with each of them. 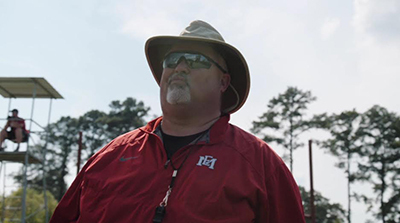 'Last Chance U' is one of the best sporting shows in ages, and with the second season somewhere on the horizon we had to check in and see how the guys were getting on. And there was only one place to start. The life and soul of the show, Roland Ollie became the main character for his loveable innocence, his outstanding ability on the field, and the fact that he just didn't want to be there. But he stuck at it, got his grades, and moved on to Nicholls State, where he is still an active player, and had a decent 2016 season for the Division 1 school registering 41 tackles and 2 sacks in 10 games. Having transferred from Florida State, Franklin was in reality far too good for junior college football, but he was forced to wait for his chance. When he did get it, in front of an Auburn scout, he scored 6 rushing touchdowns in the first half. So it's no surprise that he then went on to sign with Auburn, and after not seeing too much action in his first season with the War Eagle, he is returning for another year and a competition for the first QB spot. Now that I’ve got a whole year experience under my belt, coaches know what type of player I am and I feel like I’ve got a real chance this time. 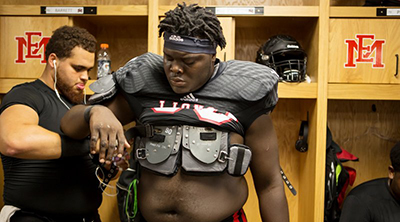 The show left us with the news that Law, who was at the centre of the storm that caused to be East Mississippi thrown out of the playoffs, had transferred to UAB. After arriving at the Division 1 school, Law was impressing at training but an existing knee injury became a concern when it would regularly flare up. As a result, the coaching staff took the decision to send Law to surgery and miss the 2016 season, which would give him another year of eligibility and a chance to get his academics in line. Anyone who watched the show will know how thrilled would have been to hear that. He is expected to play in the 2017 season. 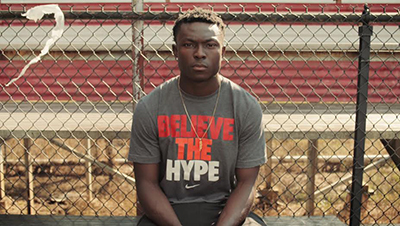 The decision by Roberts to give up on football and attend Mississippi State as just a normal student upset many at EMCC any indeed many of the fans who watched the show, as it appeared he had given up on the possibility of playing college football. Wyatt did indeed enrol at MSU, but thankfully he changed his mind and walked on to the football team, where he spent the season as the scout-team quarterback and made his first steps into the world of coaching. Also, when MSU played Auburn recently, we were treated to this great moment. Like his good pal Roland Ollie, Andry went to Nicholls State where he would have less of an impact registering just 17 tackles and 0 sacks through 10 regular season games. He's still good mates with Ollie though, so that's good to see. The extremely exciting freshman who was an understudy to D.J. Law before proving his worth while the starting running back was out injured has a bright future ahead of him. Famously, he rose to prominence on the show after convincing a player to let him return a kickoff without the coaches knowledge, and after running it back for a touchdown, he soon became regularly involved. After being pinpointed as one of the top recruits in the country last season, Wright has committed to West Georgia after receiving offers from Auburn, Indiana, and West Virginia for next season. The madman who blasted all of his players for being street thugs before doing a complete u-turn and telling them all he was proud of them one day later is still the head coach at EMCC. Last season, the Lions went 11-1 after losing their first game of the season. 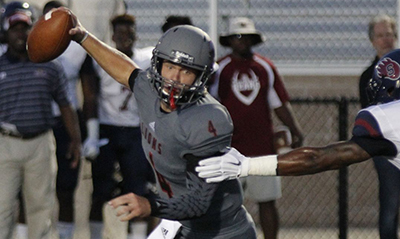 They were not invited to the national championship game, but instead claimed the state title with a hard-fought win over Kilgore College in the Mississippi Bowl. The much-loved near copy of Sandra Bullock's character in 'The Blind Side' is still going strong and loving her job at EMCC. GQ: A lot of people have been saying you’re the breakout star of this documentary. What has life been like since the documentary went up on Netflix? BRITTANY WAGNER: My life as I know it hasn’t changed; I’m still a single mom and a counselor in Mississippi. The money in my bank account hasn’t changed. But I’ve been doing this for a long time and very rarely have I been noticed for it, and the thank-yous for it have been few and far between. To go from that to having hundreds of emails, thousands of Twitter followers, thousands of Instagram followers, I never in a million years. I thought I would inspire some college athletes, I thought I would inspire a few academic counselors to get to know their athletes a little bit better. I’ve gotten emails from all kinds of people. I got an email from a girl this morning saying I changed her life, her whole career path, her motivation for the job she was doing. 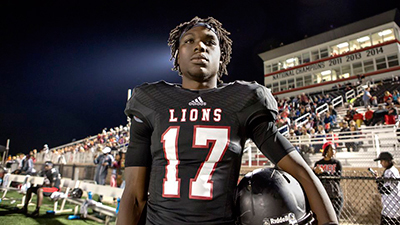 The fantastic news is that Last Chance U has been greenlit for a second season, and Wagner and Stephens are expected to return.